Before TLC set the world on fire Pac had his eye on Left Eye. In the book Tupac Remembered: Bearing Witness To A Life And Legacy, Left Eye wrote about how they met in 1991 and became fast friends. Pac even made her a mixtape! Although we won't speculate on whether or not Pac's "Can You Get Away?" is actually about her, Left Eye was definitely in a highly volatile relationship when Pac knew her so we can't say for sure if they hooked up. However, in 1992, Left Eye drew a portrait of Pac and gave it to him as a gift. On the back of the page she wrote that they'd be together in ten years. 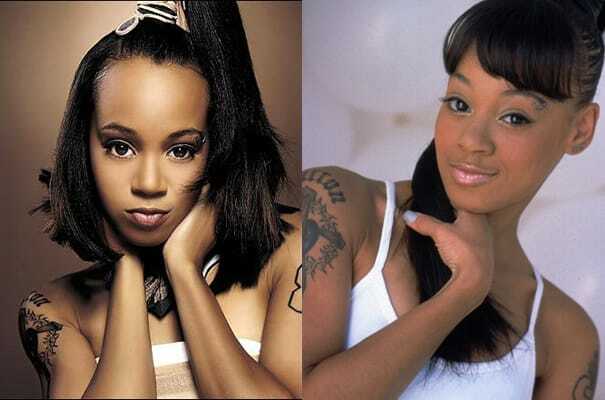 Ten years later, Left Eye died in a car accident. Spooky.